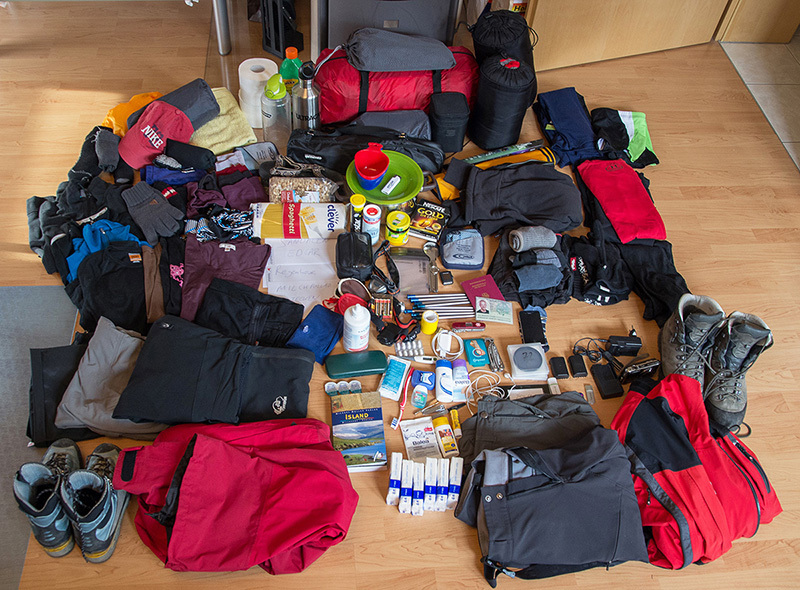 As we have not yet all the equipment we are going to take with us some items are missing on this picture: Digital Camera (DSLR), sandals Edgar, rain trouser Edgar, food, hiking sticks. Additionally as we haven't finally decided which camping-cooker to take with us (ethyl alcohol (German: Brennspiritus) VS. fuel (German: Benzinkocher) we just put a 1,2KG cooking pot as a substitute for weight and space. The tent (top of the picture) is not the one we are going to take with us - we have decided to take a Vaude Atreus 3 Person tent with us. What do YOU think about this packing list? Anything missing? Anything too much? Mail us!